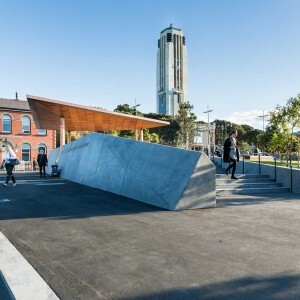 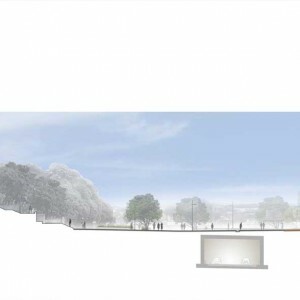 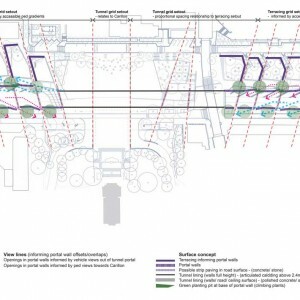 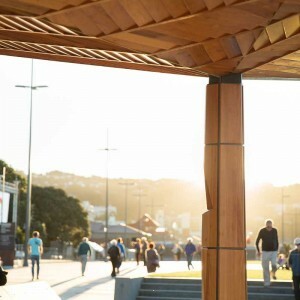 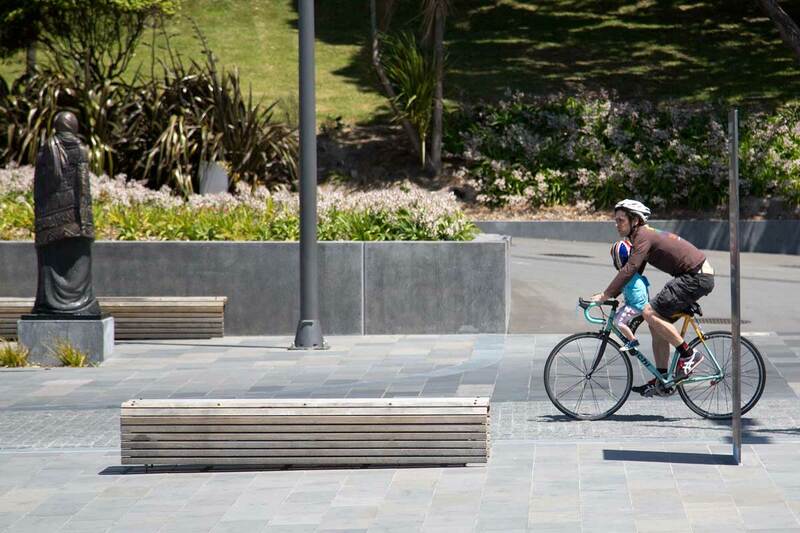 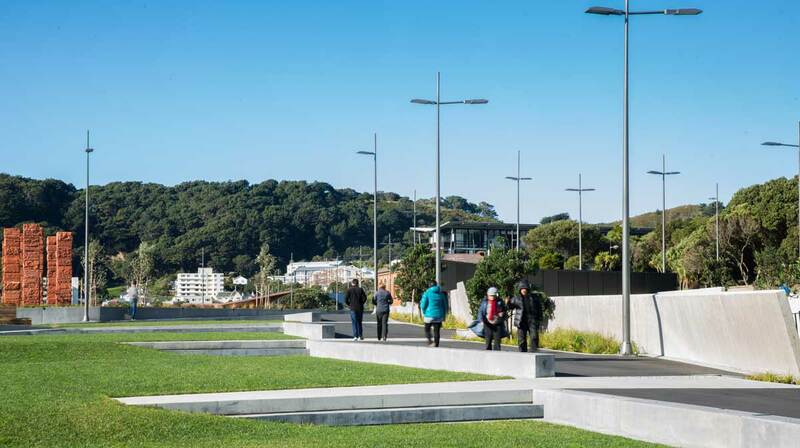 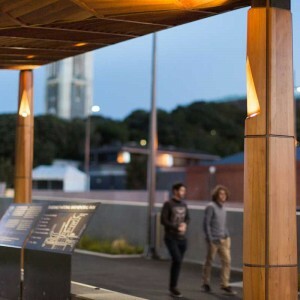 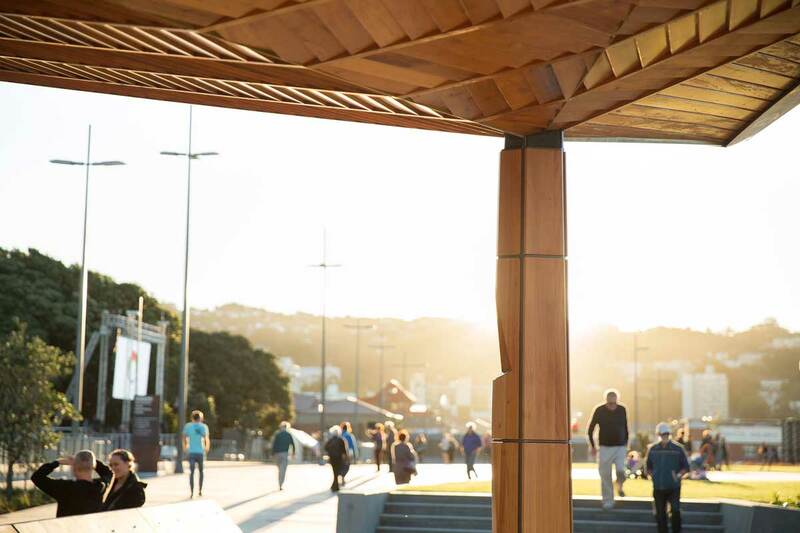 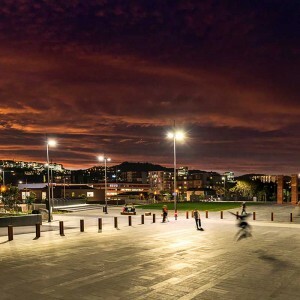 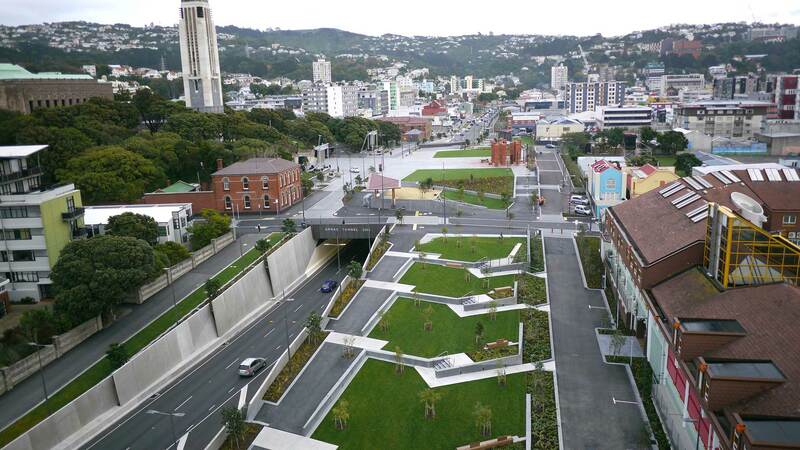 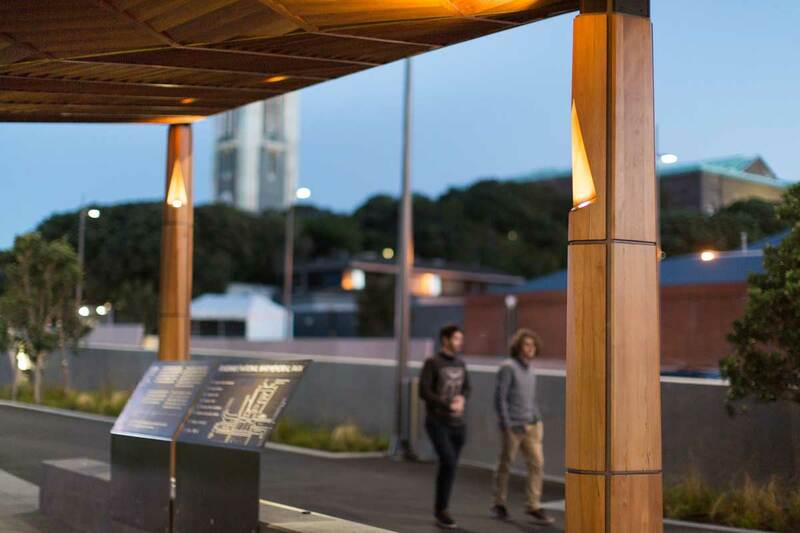 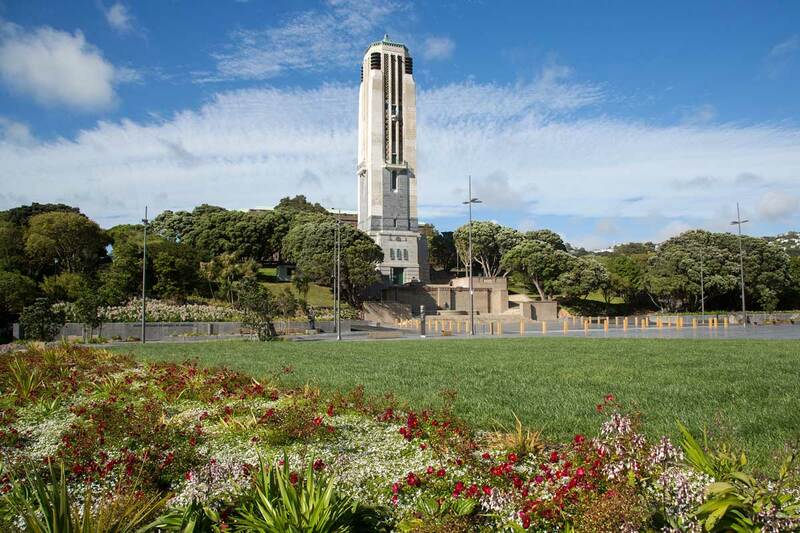 Wraight Athfield Landscape + Architecture: The Pukeahu National War Memorial Park extends the influence of the existing National War Memorial into Wellington City. 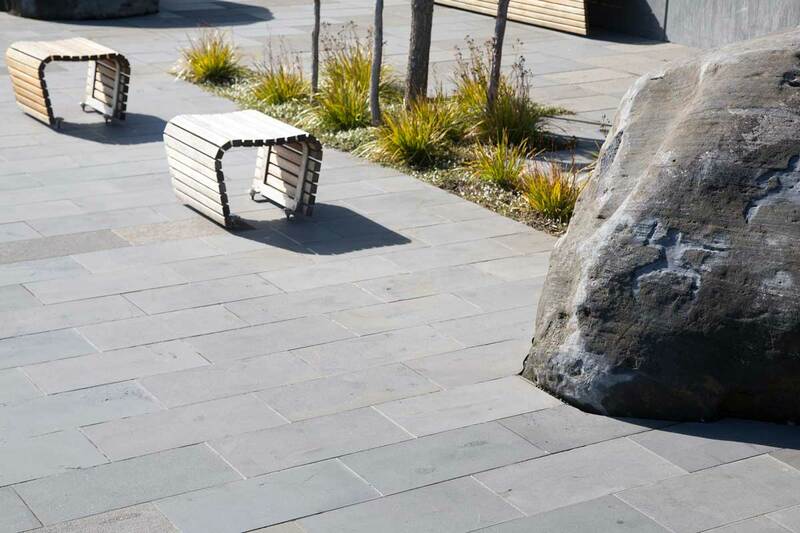 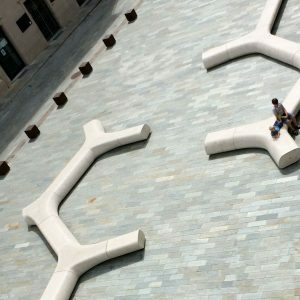 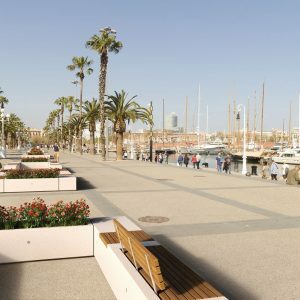 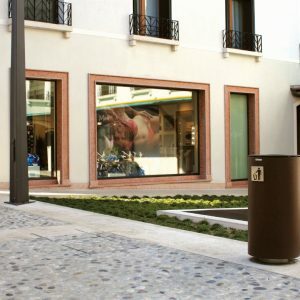 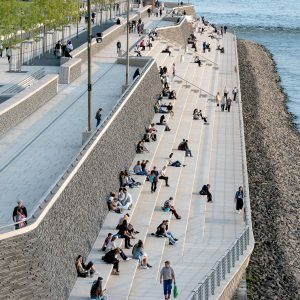 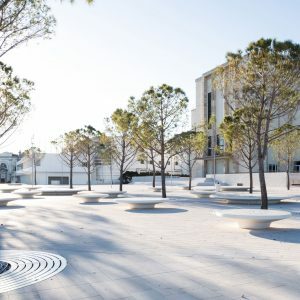 A folded, terraced landscape provides a range of spaces, supporting commemoration while facilitating the everyday activity of pedestrians, cyclists, and vehicles. 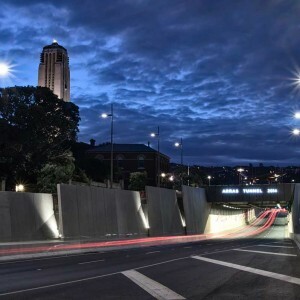 Arras Tunnel provides an arterial route for traffic under the park, establishing a large central square in front of the National War Memorial. 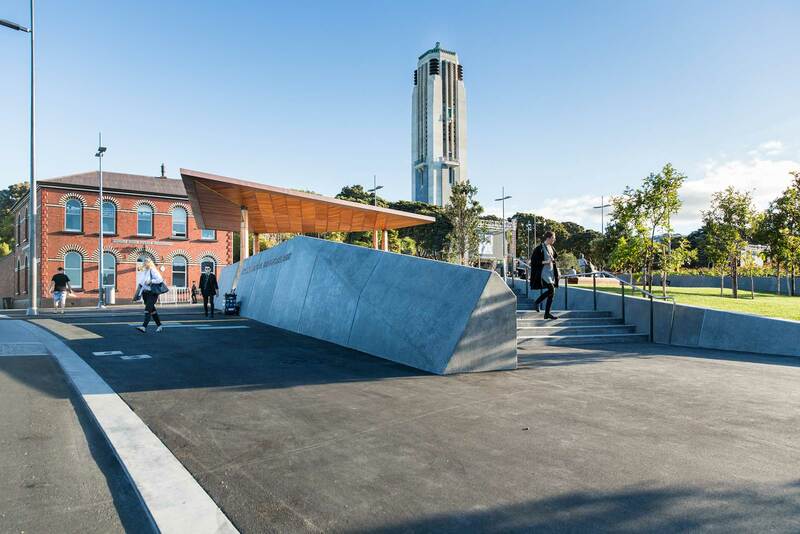 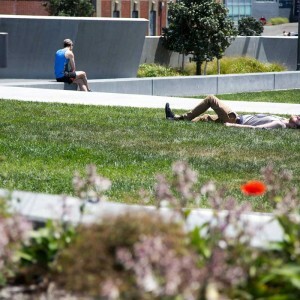 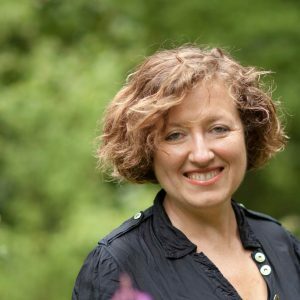 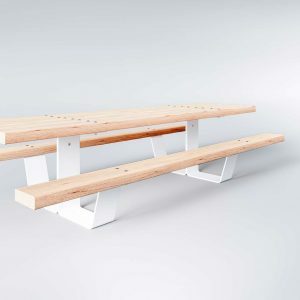 The park’s subtle layering of cultural and heritage values and provision of open space acts as a catalyst for further urban repair and development. 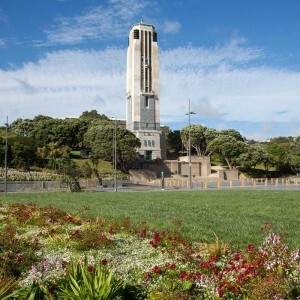 When the National War Memorial was built in 1932 its carillon tower made it highly visible. 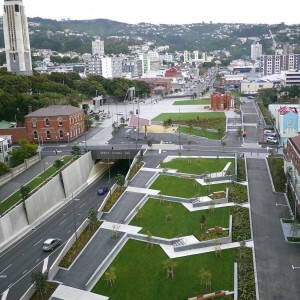 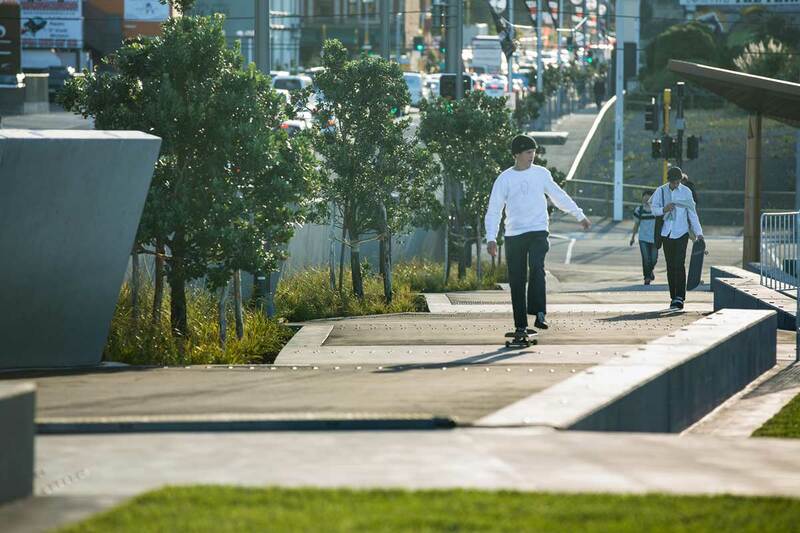 The proposal to create a boulevard to link the memorial to Courtenay Place never eventuated and it became isolated in a semi-industrial zone. 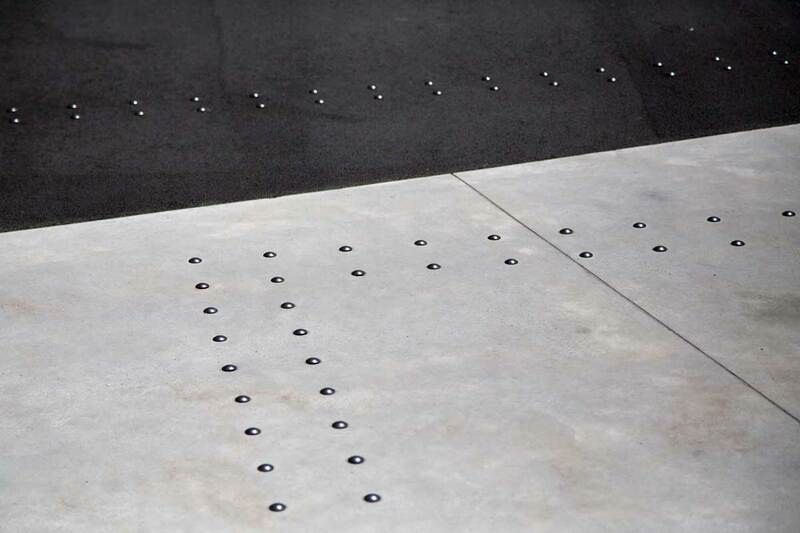 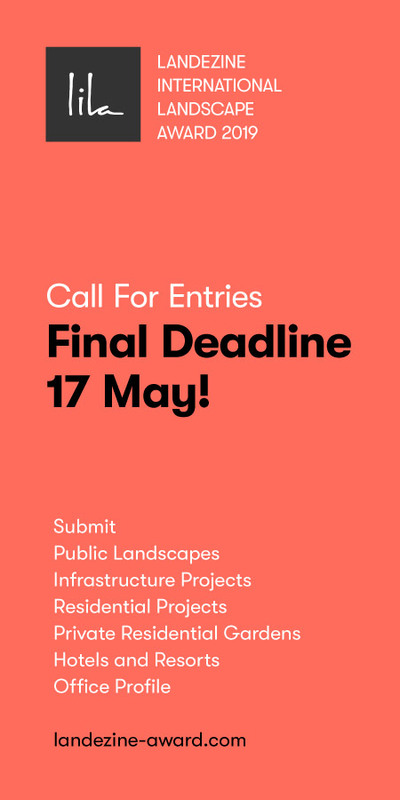 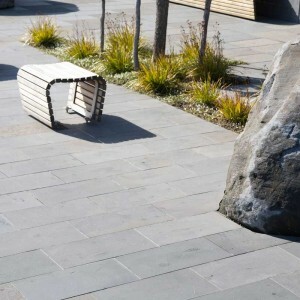 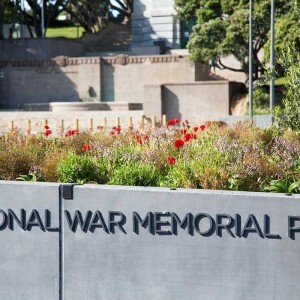 In 2007 the Ministry for Culture and Heritage held an open design competition to create a New Zealand Memorial. 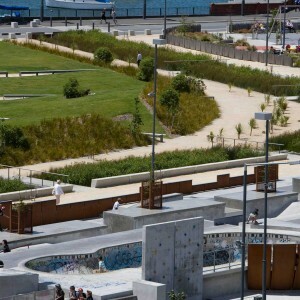 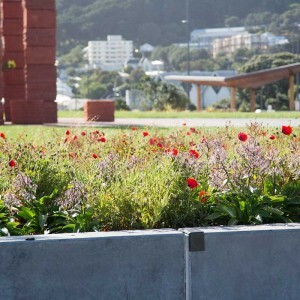 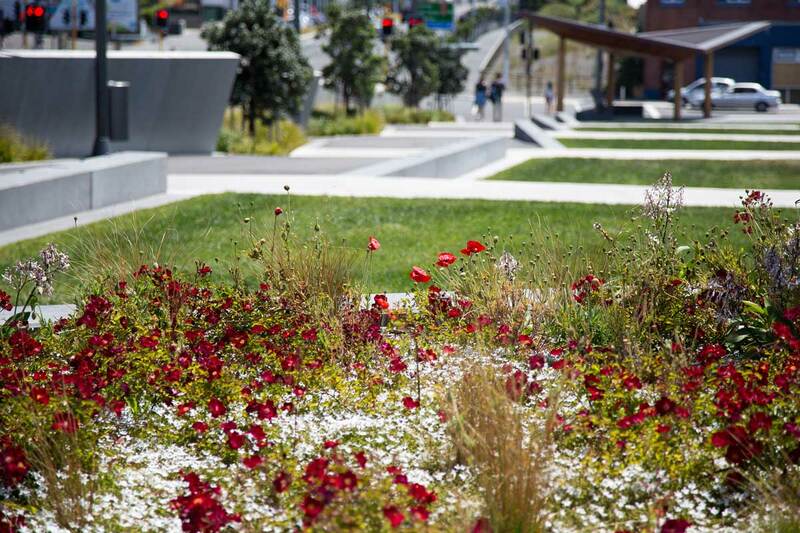 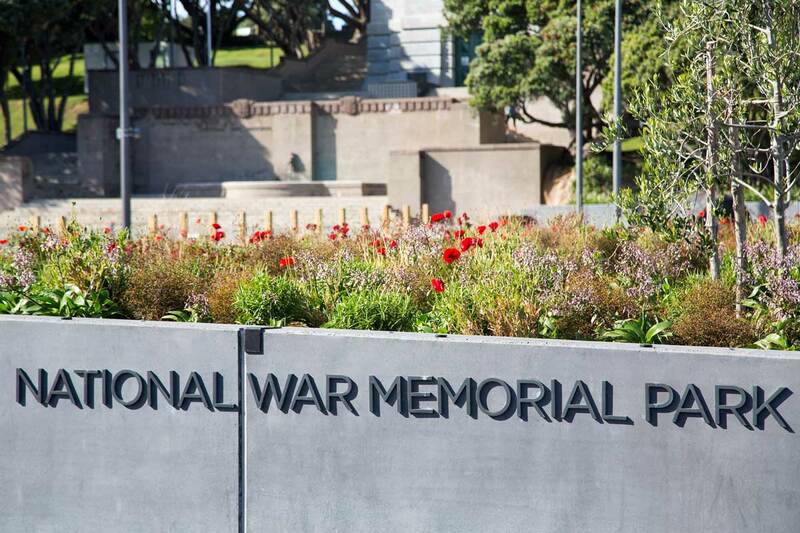 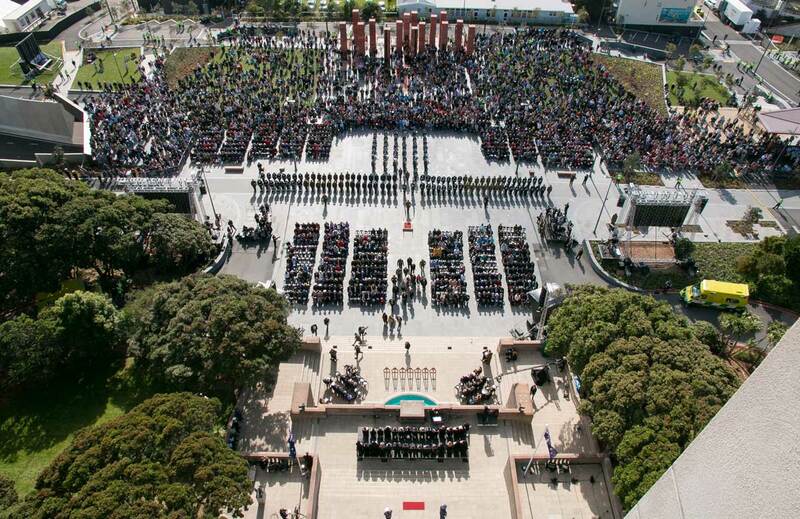 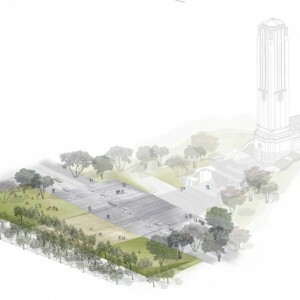 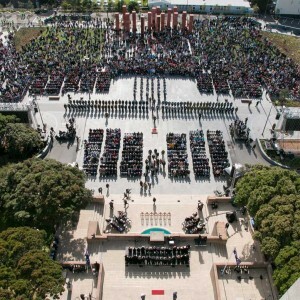 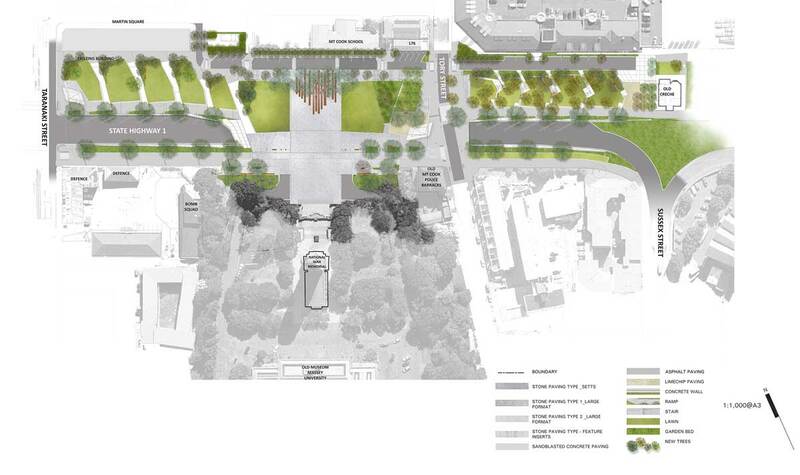 In 2012 the plan was announced to develop the Pukeahu National War Memorial Park to acknowledge the centenary of WWI. 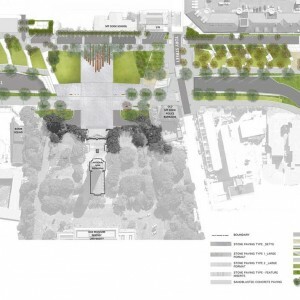 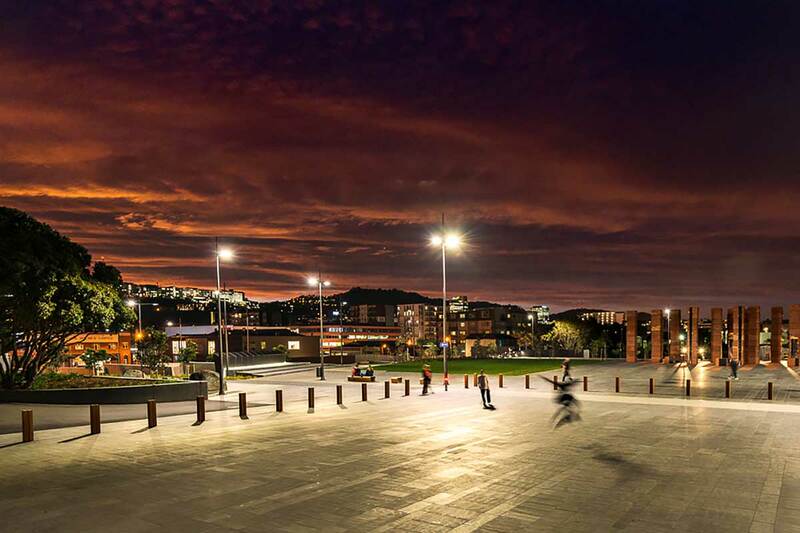 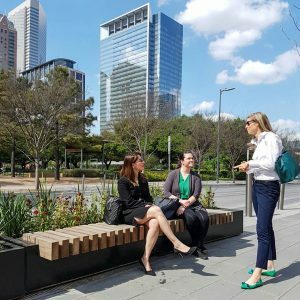 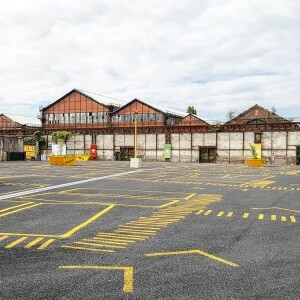 This included the undergrounding of Buckle Street to create a unified memorial precinct, strengthening the heritage value of the area and defining the central city’s southern periphery. 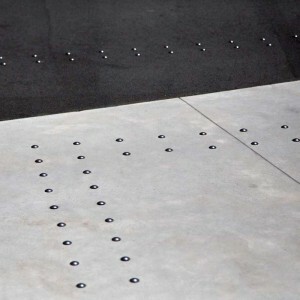 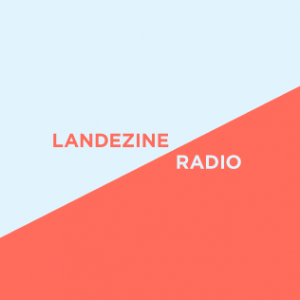 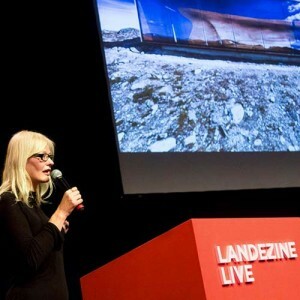 Topography and time are used as a media for memory. 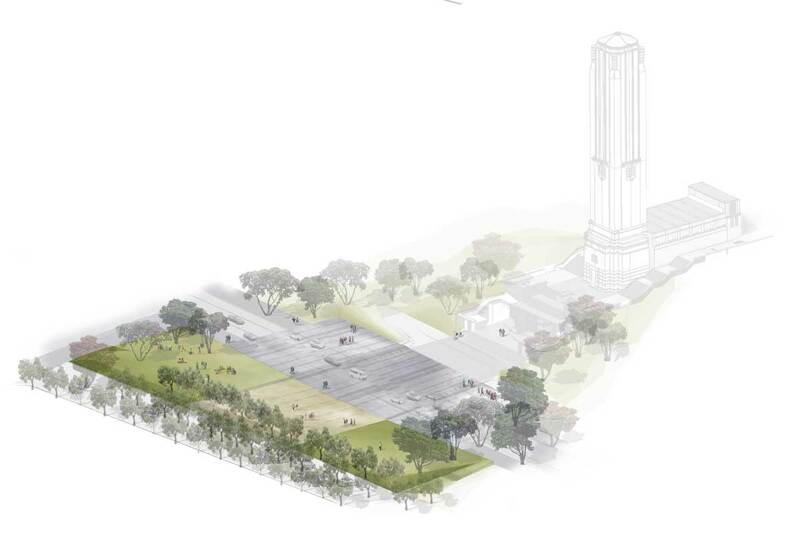 The primary landscape structure of the park is the shaping of the ground plane. 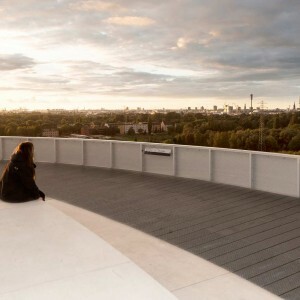 The ridge is subtly warped and terraced to provide a range of spaces along the length of the park. 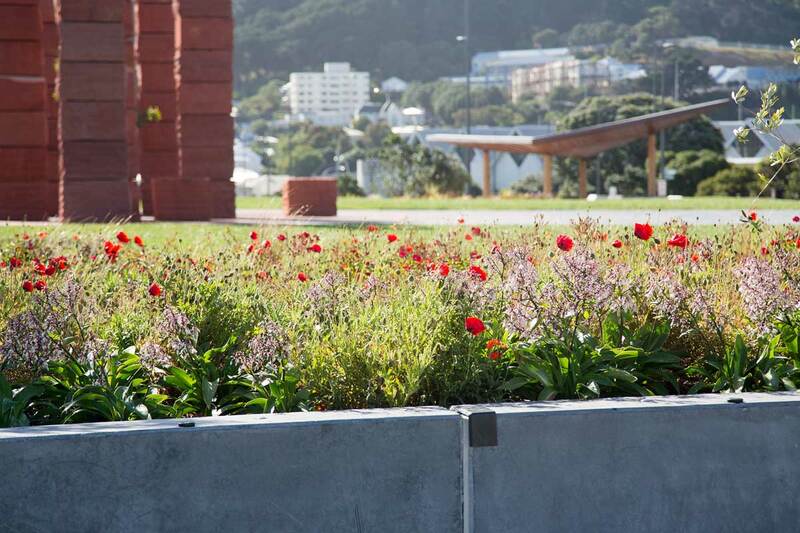 Terraces are reflective of previous Māori cultivation practices in the area but also recall fortification forms surrounding hill Pa sites. 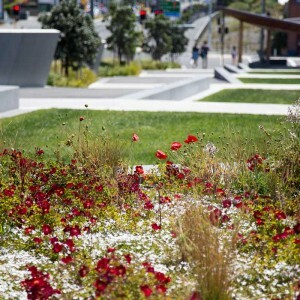 The patina of the past is respected, the city grid strengthened, and established patterns of planting and landform overlaid. 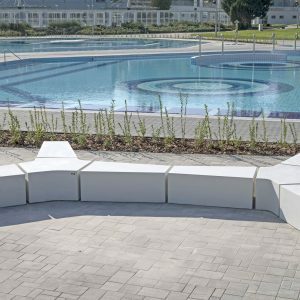 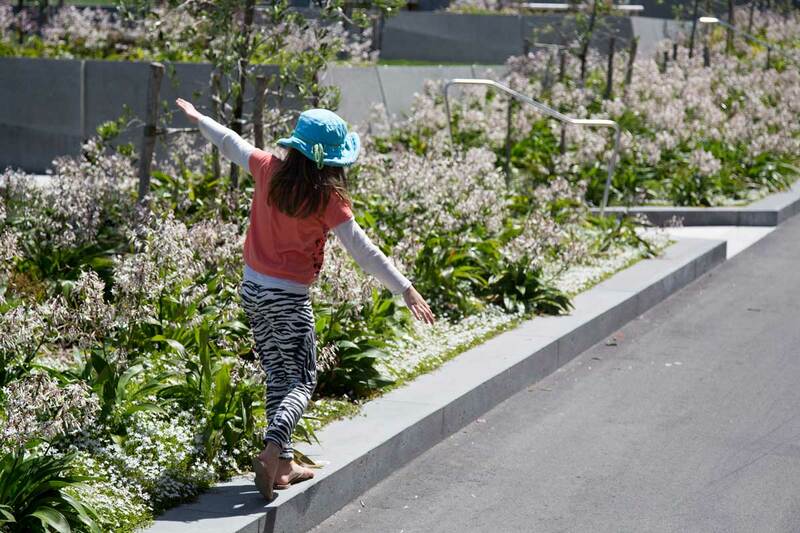 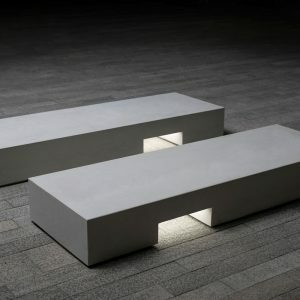 The stepping terraces provide a series of landscape rooms designed so people can move from one to another. 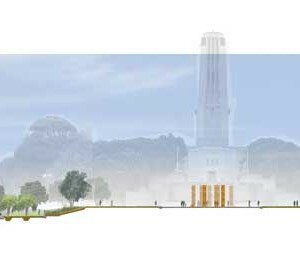 Each room will eventually have its own character with new garden, object or field based memorials inserted, yet will remain part of a cohesive journey. 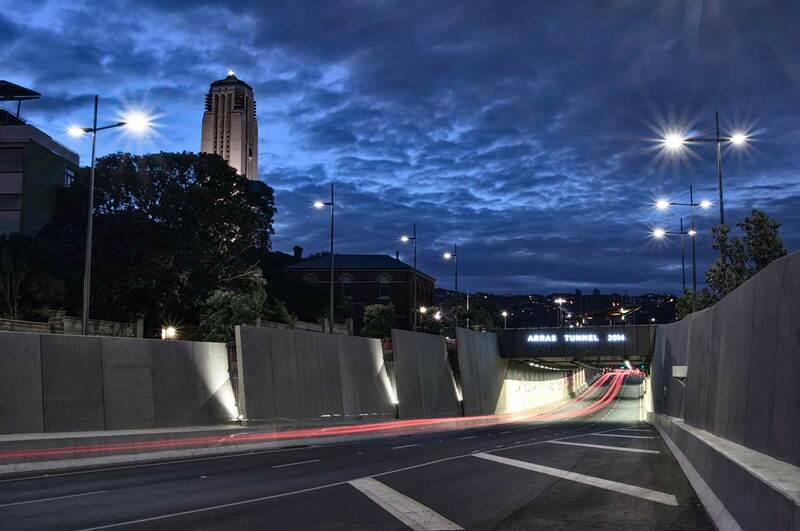 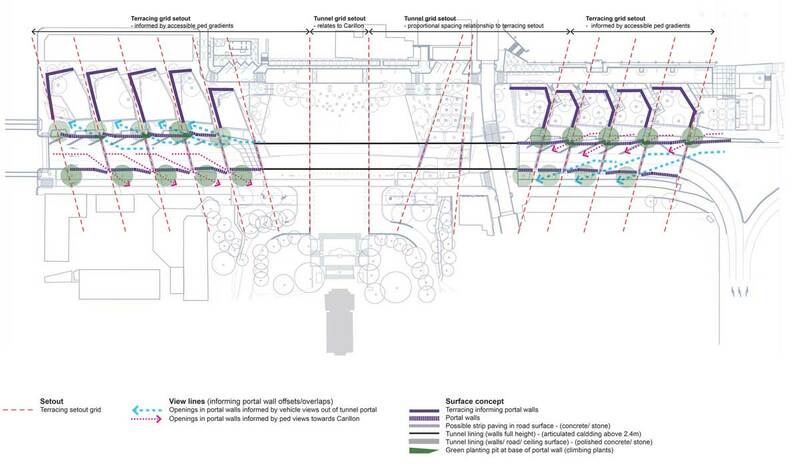 Folded down terrace walls form the tunnel portals to engage vehicle occupants with the park above. 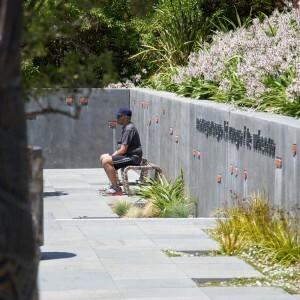 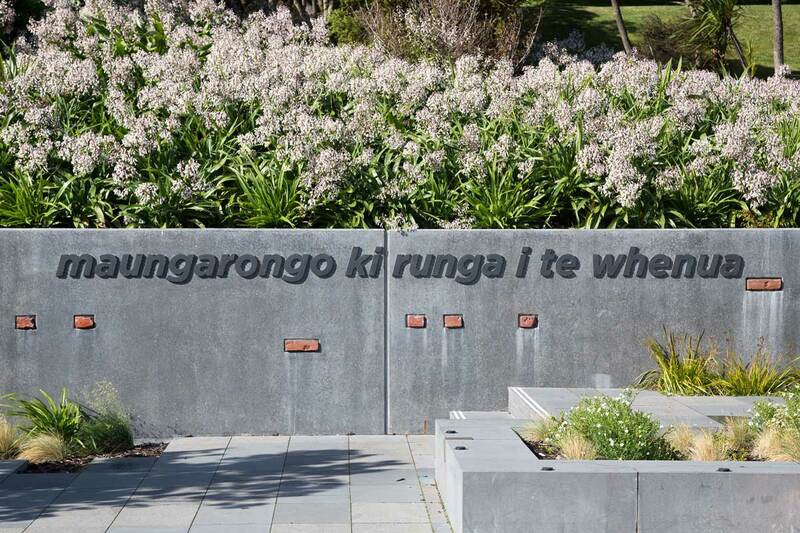 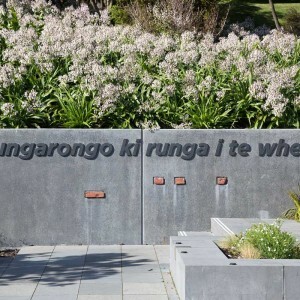 At the east and west sides of the steps to the National War Memorial are the Ngā Tapuwae o te Kāhui Maunga Gardens, designed in close collaboration with Te Atiawa representatives who are the mana whenua for this area. The park is a conduit for procession and assembly. 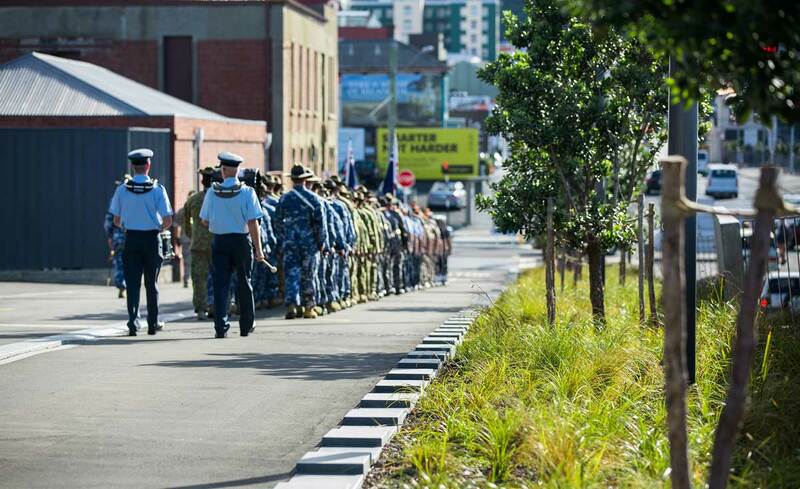 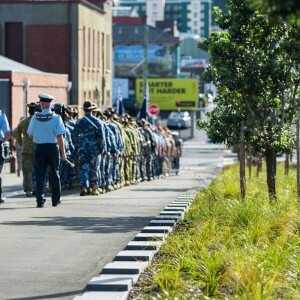 Occasions such as ANZAC Day may call for the wider Boulevard to link a procession from the surrounding streets to the National War Memorial. 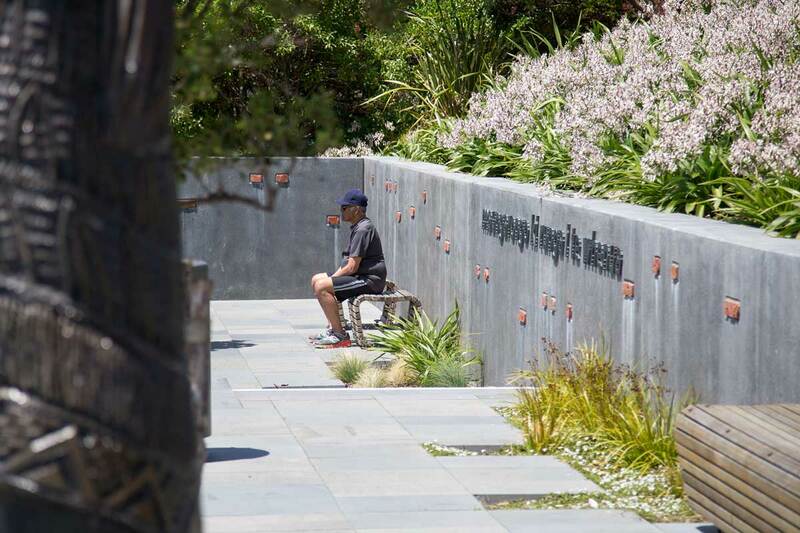 More intimate commemorations can gather in specific ‘rooms’ within the park. 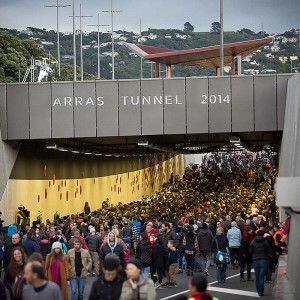 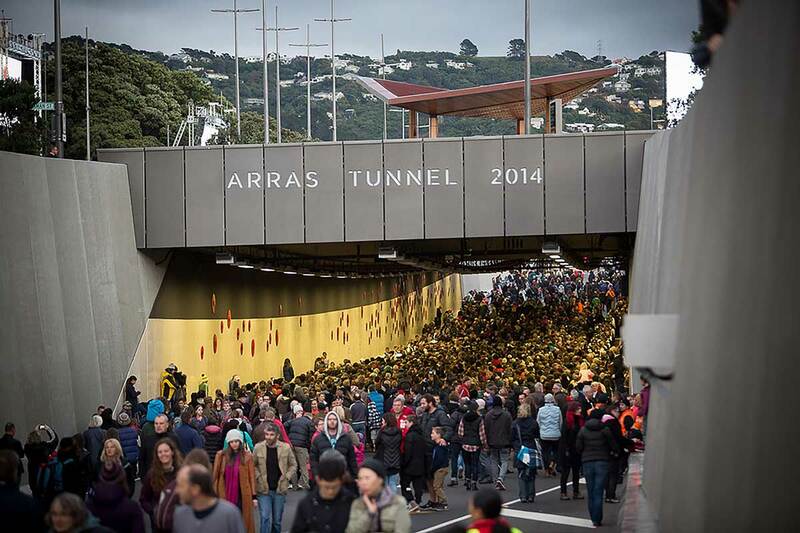 The structures at the Taranaki and Tory Street gateways provide shelter at critical threshold points where processions may pause or begin. 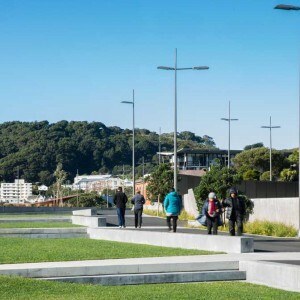 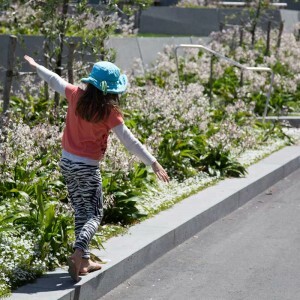 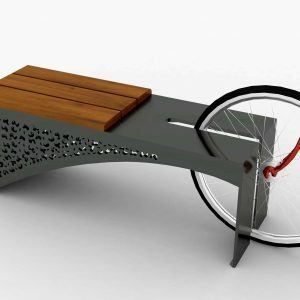 For vehicle, foot or cycle traffic, the park forms a ‘punctuation mark’ in the journey through the city and provides a number of pathways and park rooms for people to use. 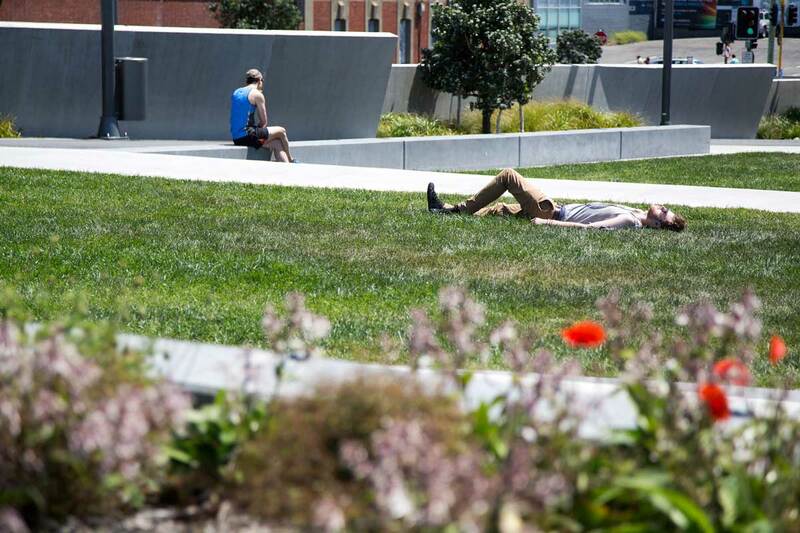 For much of the time this park will be a place for respite from the streets, a beautiful and engaging landscape within the city.